Integratron: strange UFO kind of place. If you've not been invited to spend the night, consider instead two Palm Springs classic inns, the Orbit In and L'Horizon. 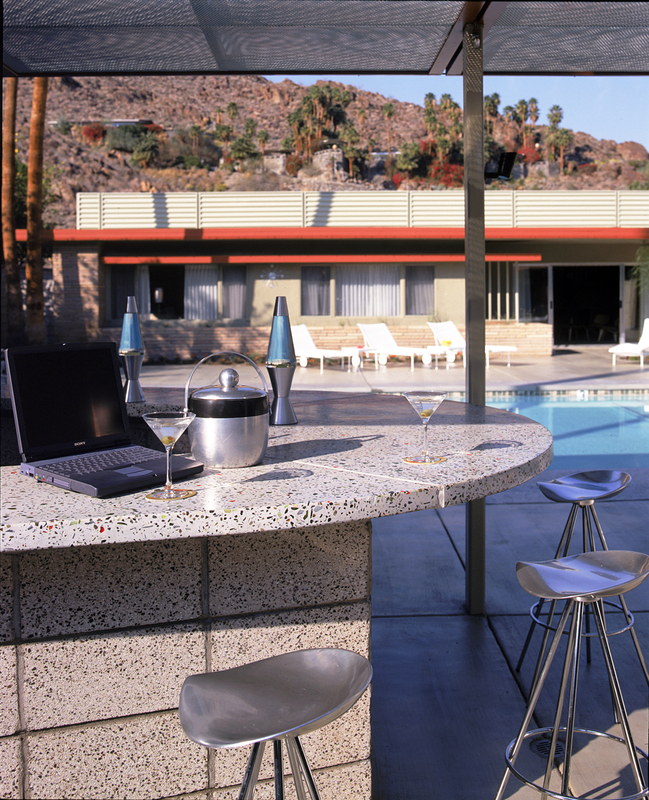 The Orbit In was a pioneer among cool Palm Springs mid-century motels that rediscovered their vibe and marketed it well. Renovations began in 1999. Built in 1957, it was originally designed by Herbert Burns. At the Orbit In, you can spend a week in the Rat Pack Suite, cooking on its 1950s vintage stove, eating on plates of Melamine, and relaxing in the molded-plastic bucket chairs. If you grow tired of sitting by the pool while downing 'Orbitinis,' there are several coffee-table books about Frank Sinatra nearby. When the L'Horizon Hotel, perhaps the purest example of desert modernism to be found in an inn, was first built, it was designed not for paying guests but for friends of its owner, the Hollywood producer who brought the world Lassie. The most sophisticated of the Palm Springs resorts, in terms of sheer design, L'Horizon is a cluster of quiet cubes arrayed amidst greenery and around a pool. 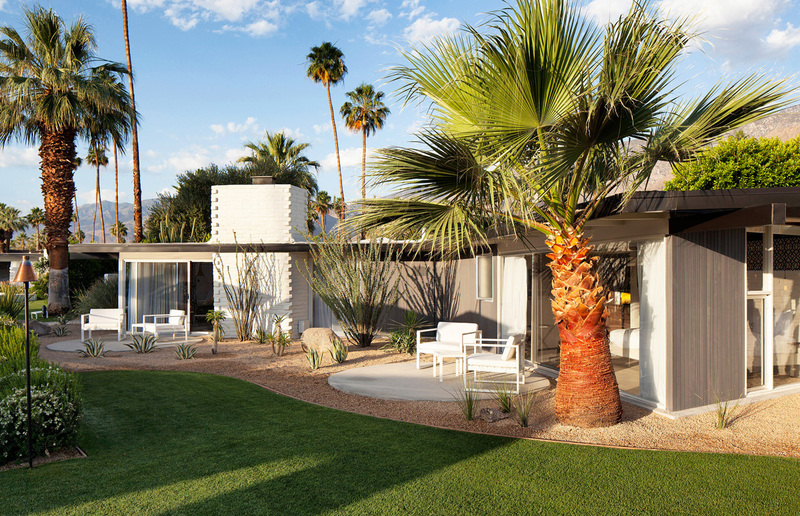 The 1952 inn was designed by Palm Springs architect 'Wild' Bill Cody. Sophisticated as Palm Springs has become, remember, this is the desert. And the desert is a strange place. As David Pagel has noted in the Los Angeles Times, the desert's inhospitability "gives plenty of elbow room to loners, eccentrics, and visionaries." 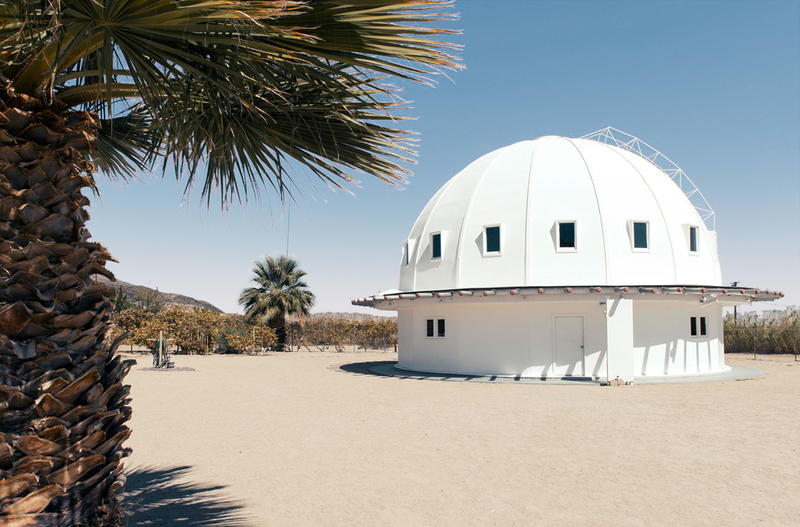 High among them was George van Tassel, an aeronautical engineer who, in 1954, began building the domed Integratron, in part using wisdom, it is said, he had gained from aliens who had invited Tassel onto their UFO. Its current owners call the place "a resonant tabernacle and energy machine sited on a powerful geomagnetic vortex," and welcome visitors to their "signature experience," the Sound Bath. Actress Molly Ringwald took them up on it. "I was amazed by how beautiful the room was: the warm patina of the sixteen wooden beams, the light coming through the windows, the lovely spareness of the space," she wrote in her blog. Soon sounds were emanating from crystals attuned to chakras. "The effect" Ringwald wrote, "amplified by the acoustics of the room, and the size of the crystals themselves, was stunning." It never hurts to end a road trip with a little chakra tuning.